Does Sony have something huge up its sleeve? 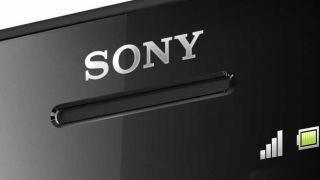 Sony has set itself some sky-high sales targets for next year, according to reports, furthering speculation that the company has something big up its sleeve. CENS.com has posted figures, unconfirmed by Sony, stating that the Japanese giant intends to sell 50 million smartphones during the 2014 financial year. That's the twelve month period commencing in March 2013. For the likes of Apple and Samsung, that figure would be no big deal, but for Sony it would represent 50 per cent year-on-year growth compared with the 33 million sales it expects to achieve in fiscal year 2013. This prospective upturn in demand would be enough to catapult Sony Mobile from the manufacturer with the seventh biggest share into third place, behind the Apple and Samsung juggernaut. So what could be the catalyst that propels Sony Mobile from a middle-of-the-pack manufacturer directly onto the smartphone podium? Could it be the Sony Xperia Odin? During the last week it has emerged that that this rumoured - and ominously-codenamed - handset may be the successor to the Xperia S and Xperia T smartphones that impressed in 2012. Rumoured specs for the Odin include a 5-inch Full HD 1080p display, a Qualcomm S4 quad-core processor, 2GB of RAM, Android Jelly Bean and 4G LTE connectivity. While those features, combined with Sony's acclaimed design language, would certainly be enough to put Odin up there with other high-powered Android devices, could it inspire a mad dash for Xperia products?